Tesla is constantly releasing Model 3 software updates to unlock new features for the owners, some are safety and Autopilot related and some are just enhancements to the UI of the center screen for better user experience. 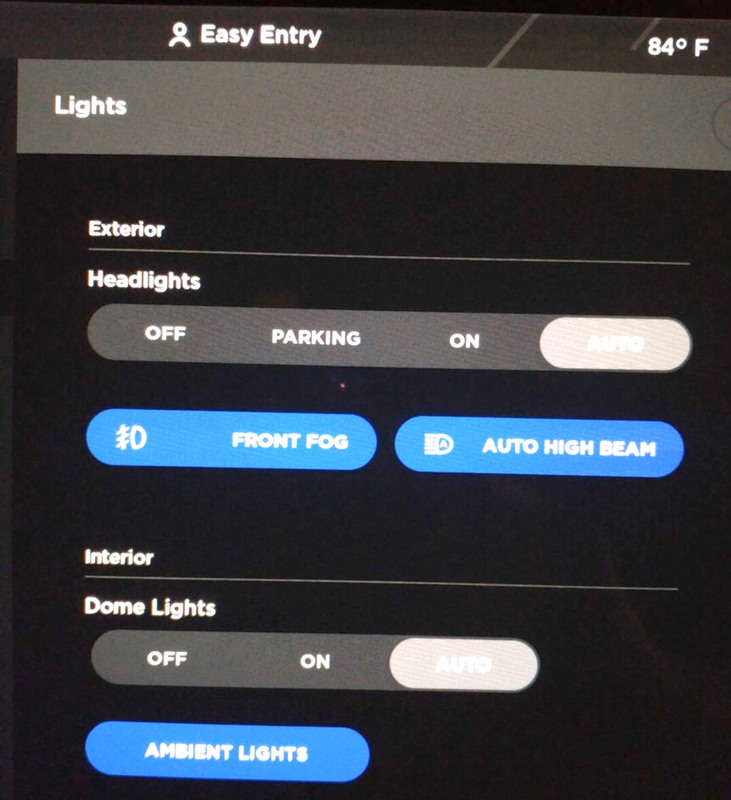 The latest Model 3 update (2018.18.1) adds the ‘Auto High Beam’ feature to the vehicle and also includes a UI improvement to the Media Player controls. 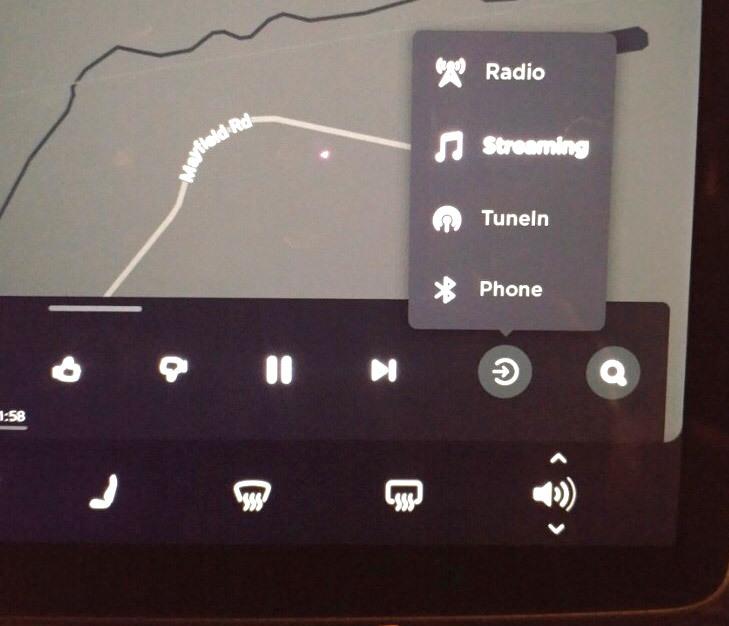 As Model 3 vehicles are not currently enabled to use WiFi outside Tesla Service Centers, users have to rely on the LTE connection for the updates, this and other factors delay the software updates for some owners. If you have got the Model 3 2018.18.1 update and have enabled the ‘Auto High Beam’ feature as instructed in the release notes (full text below), your vehicle will automatically switch to low beams as it detects another vehicle in-front or an approaching onward vehicle. New ‘Media Player’ controls let you easily switch between audio sources such as Radio, Streaming, TuneIn or the Phone (screenshot below). The new 'Media Player' 'Switcher' icon lets you easily switch between audio sources such as Radio, Streaming, TuneIn or the Phone (refer to screenshot below). The new audio setting will be automatically enabled by installing the 2018.18.1 update, which takes about 45 mins to install (see video below). With this release, we have added a new source switcher to easily cycle between audio sources (Radio, Streaming,TuneIn, Phone) whenever the Media Player is open. Additionally, Radio and Streaming have a new browse view to easily find what you are looking for. Direct Tune was also added to Radio to quickly and accurately jump to any FM radio station. 2018.18.1 screenshots posted by u/MooseAMZN to the Tesla Subreddit and edited for enhanced viewing by me. Automatic dimming headlights is a great safety feature offering convenience to other drivers on the road and using high energy for high beams only when needed. We have also added a new setting, Auto High Beam. When you turn your high beam headlights on and this feature is enabled, Model 3 automatically switches to low beam headlights when another vehicle is detected in front of you. To toggle this feature on or off, tap Controls > Lights > AUTO HIGH BEAM. Refer to the Owner's Manual for additional information. M 423/YouTube seems to have been one of the early receivers of the 2018.18.1 Model 3 software update, He shows the update process and more in the following video. Tesla updates are downloaded in batches fleet-wide, so owners who have not yet got the update will get it soon as you might be next in the update queue. Follow us on Twitter or Facebook or even Flipboard for constant updates, specially for Tesla Model 3. Found another video showing the new ‘audio source switcher button in action’ after the 2018.18.1 update, I have set the video to start at the point where we can see how it works.